Laura advises corporations on a variety of compliance-related issues, particularly related to Form I-9 alien employment verification matters. 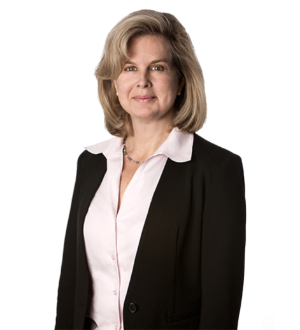 Laura has been involved in audits and internal investigations and has successfully minimized monetary exposure as well as civil and criminal liabilities on behalf of her clients. She develops immigration compliance strategies and programs for both small and large companies. Laura performs I-9, H-1B and H-2B compliance inspections during routine internal reviews, while performing due diligence (in the context of a merger, acquisition or sale) or while defending a company against a government investigation. Laura publishes and frequently lectures on I-9 issues, including penalties for failure to act in accordance with government regulations, anti-discrimination laws and employers' responsibilities upon receiving social security "no-match" letters. Laura’s practice also consists of managing business immigration matters and providing immigration counsel to address the visa and work authorization needs of U.S. and global personnel including professionals, managers and executives, treaty investors/ traders, essential workers, persons of extraordinary ability, corporate trainees, and students. She specifically advises and assists multinational corporations in the industrial, retail and service industries, real estate, health care, pharmaceutical and technology sectors in all aspects of U.S. immigration law.